Cooking waffles without a waffle iron is possible. Don't forget that recipe crispy waffle dough appeared much earlier household appliance that made the waffle a lot easier. In fact, it is impossible to find out who and when first came up with delicious crispy dessert. Mention of wafer test found in the ancient texts of Greece. The modern version of the baking, most likely, originated in Germany. Today waffles are baked using special appliances. However, in the past century successfully prepared waffles without waffle iron, as the secret dessert is the tests. For preparing waffles you can use the oven and iron skillet. 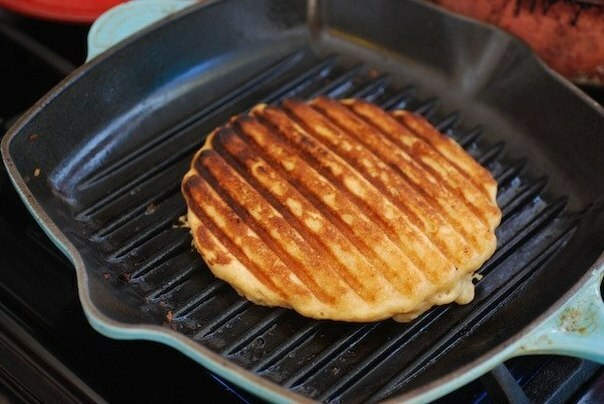 Bake waffles possible and on the grill. However, in this case it is necessary to make a fairly thick batter using buttermilk, and yeast. The waffles turn out crispy, but too thick. Therefore, this version of cooking waffles great not popular. To prepare dessert, you need the following ingredients: 45 g wheat flour, 60 g butter, 2 chicken egg yolks, 60 g sugar powder, a sachet of vanilla sugar. Soft butter whipped with vanilla sugar and powdered sugar. You can add to the mix finely chopped zest of half a lemon or orange. Continuing to whisk mass, add the sifted wheat flour and egg yolks. A baking dish made of parchment paper. On paper spread with a spoon of the dough and spread it, giving the form of a thin circle. Oven heated to 200oC. Cooking waffles without a waffle iron in the oven takes less than 5 minutes. Toasted waffles, remove from parchment and put on a wire rack for cooling. Bake waffles can and in a cast iron pan. This will require the following ingredients: 200-250 g of wheat flour, 250 ml milk, 2 tablespoons sugar, 1 egg, 3 tablespoons butter, teaspoon baking powder. Pre-sifted flour mix sugar, egg, baking powder and soft butter. Continuing to mix the components in the dough to gradually introduce the milk. You should get a uniform batter, similar to pancake. A cast iron pan grease with vegetable oil and carefully heat over high heat. As with the pancakes, pour the batter into the pan using a ladle. Flip the wafer the preferred wooden or silicone spatula. By the way, there are pans on the bottom which will cause a wire mesh pattern. Therefore, you can prepare waffles as close externally to the usual dessert.